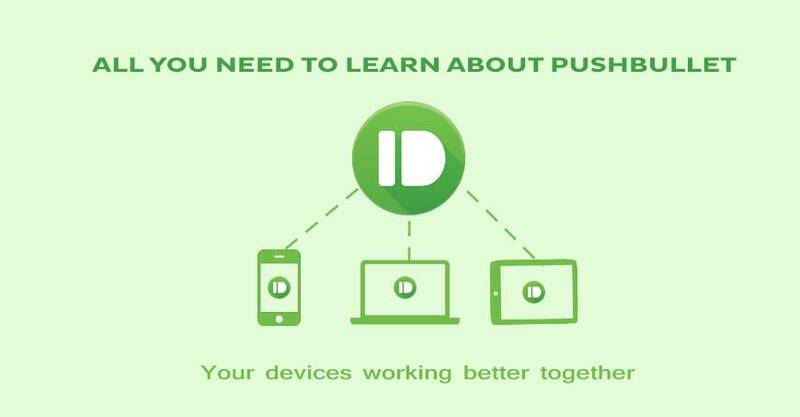 Pushbullet definitely acts as a software that bridges the gap existing between your smart devices, enabling them to work better together. This is the ultimate software where you are given more features to make use of your personal computer right from your mobile phone itself. It is even considered as the most popularly used applications in order to transfer files from one device to another. The software has been specially designed in order to make it available on various platforms. However, pushbullet download is considered to be one of the biggest asset associated with this excellent software. Making use of the software will help you to save lots of time, thereby making your task very easy and compatible. Moreover, the software makes the most impossible and difficult tasks to be sorted out very easily. It is quite impossible to find a pushbullet alternative as this has high-end features. Well, you can very easily establish a connection between your devices such as a smartphone, including iOS, Windows and Android, tablets with your personal computer. The direct transfer of photos, files, documents has become very easy with the software. In addition to that, you can also find some mirror notifications along with export and modifying your SMS history apart from your contacts. If you look into the features associated with this software then you get to know more about it. There are some extraordinary features incorporated in it that will definitely help you to use the software in the most possible ways. So let us have a look at the pushbullet features. You can very easily send a text message which can be typed on the keyboard. Perhaps it is much easy to type on computer device instead of typing in sending the message on her mobile device. Well, it is very easy to send and receive text messages directly on your personal computer. There is never a chance to miss any of your mobile phone notifications as they are directly displayed on your computer. So even if you are away from your mobile phone and working on your PC then you can see a popup window showing the notifications. The portal pushbullet software is embedded with a powerful feature that will instantly help you to share any kind of links between any device. Therefore it reduces the task of emailing links to someone instead you can directly share them. The same way you send links you can also send files to various devices at a time the files include pictures, documents, images and files between various devices. Moreover, the file downloads automatically and can be opened right from the notification bar itself. You can also create your own conversations thereby making use of pushbullet download in your PC. This will work great on all your devices which helps you to have more convenient chats. By making use of this software you can even go ahead with your business deals. This provides you with mirror phone notifications that will be directly delivered on your desktop screen. The portal pushbullet will easily support both USB as well as a Wi-Fi connection which makes transfer and sharing of files very easy and quick. Perhaps it is quite reliable for you to send messages apart from that you can also send URLs from connected devices. One of the biggest disadvantages of pushbullet alternative is that it does not have any default end-to-end encryption.